“They say the world is owned by brave ones. 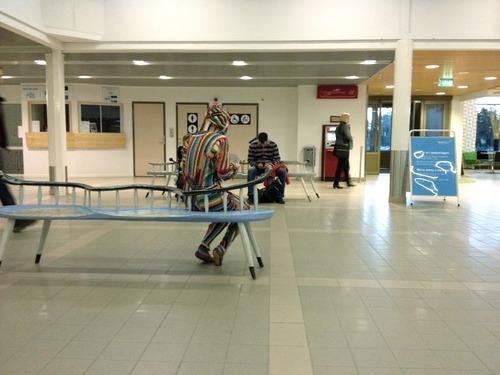 Speaking of Johanna Hästö’s performance in Sarkandaugava’s psychiatric clinic, I would say that the brave ones see the world more colourful. Performing “A Last Farewell” in a morgue was a crazy idea – we all know how much people change face even hearing this word. Yet Johanna managed to convince the hospital staff that this is just another part of a single hospital body. Built in Soviet times, the morgue of the psychiatric clinic in Sarkandaugava had not been used for many years. We decided to give her all our support. Reciting a monologue Johanna was speaking of all the things mundane, unavoidable and eternal. I was taken by an atmosphere she managed to create using her soft and pleasant voice. It was so silent! Was there a delight? Probably – not. However, she did create a room for contemplation and meditation, and I believe this is exactly what the festival “Survival Kit” aims to do – make us see the world from a different, unusual angle.” – Silva Bendrate, social relations manager at Riga’s Centre of Psychiatry and Narcology. “People are by natural reasons often afraid, reluctant and unwilling to engage with the issues surrounding mental health treatment. They tend to keep a sharp division between the world inside and outside the hospital wall”. “A Last Farewell” performance was part of a bigger project based on several visits to Latvia and a vast research of the subject. Johanna admits that even today psychiatry preserves its mysterious and somewhat negative aura. People are by natural reasons often afraid, reluctant and unwilling to engage with the issues surrounding mental health treatment. They tend to keep a sharp division between the world inside and outside the hospital wall. Nonetheless, we should not underestimate the huge work undertaken by the hospital staff to promote a positive and very humane image of the clinic. I wonder how much our perception of that building and the whole institution of mental health treatment will change in the next couple of years, a decade or a century? “As an artist I always rely on my intuition and it leads me to all the different and unimaginable directions”. Still at the university Johanna started to collect zippers for one of her projects. 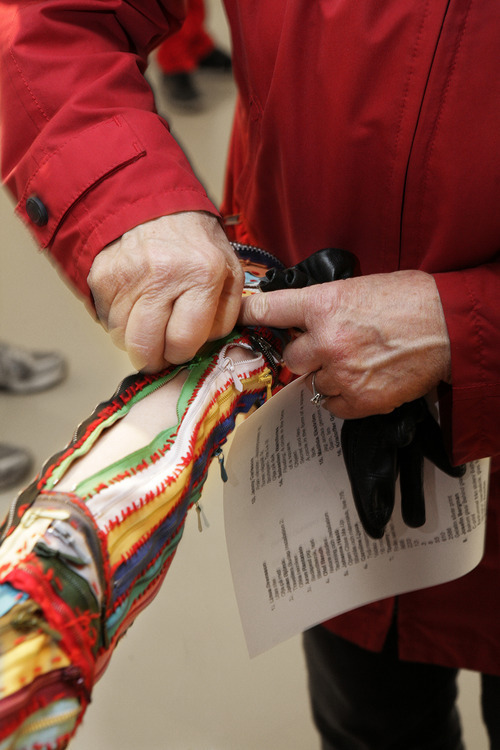 Assembling hundreds of them, the artist was mostly interested in those zippers that had been used by someone, thus loading the work with peoples’ personal stories and lifetime experiences. Only later did Johanna notice that the Swedish word for zipper is blixtlås which is composed of blixt (flash) and lås (lock). 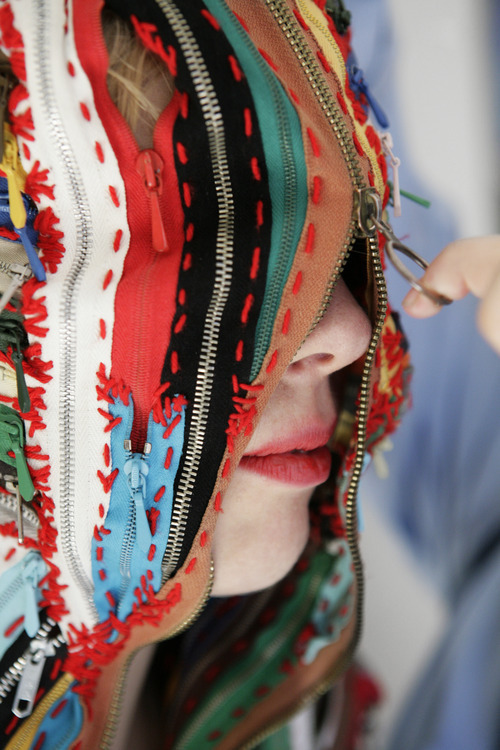 It was such a revelation to spot the hidden message channelling through the work she had been doing so the next couple of years the artist spent making the “Zipper Suit” (“Blixtlåsdräkt” in Swedish) for Johanna Blixt. It was a brave decision to undertake such a complex project, without knowing that it will ever be finished. Johanna remembers spending a lot of time trying to understand the construction of the suit and putting some other projects on hold. “It was a very hard and time consuming practice. I wanted to make a suit that would give an extra layer of skin to my body or become my armour.” In the end Johanna did quite many things with it. Last year she wore the zipper suit when traveling by plane from Sweden to Riga. 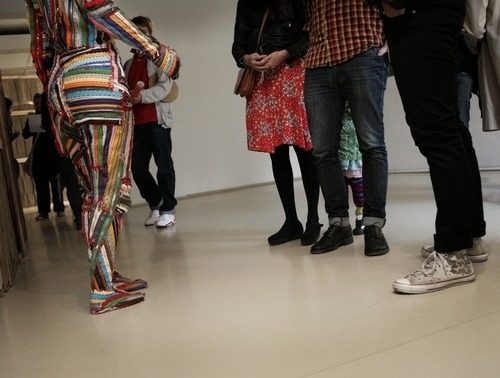 In this symbolic performance the artist was searching for a single point within the society, where the experience of wearing the suit would get extremely sharp, thus testing the limits of what is normal or acceptable. Johanna Hästö is a Swedish artist, who works across different media, from textiles and drawing to poetry and performance art. She often focuses on such themes as human body, history and mental health issues. 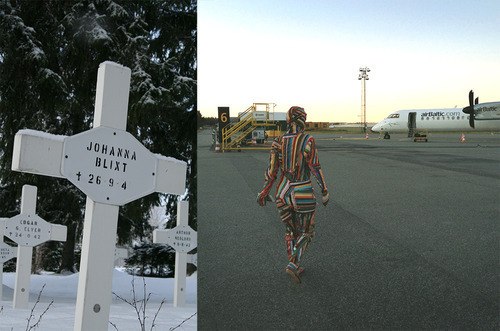 The artist had previously participated in a number of small group shows across the globe, her work was shown at Bildmuseet (Umeå, Sweden) and she also made site specific works in connection to the psychiatric clinic in Säter, Sweden. 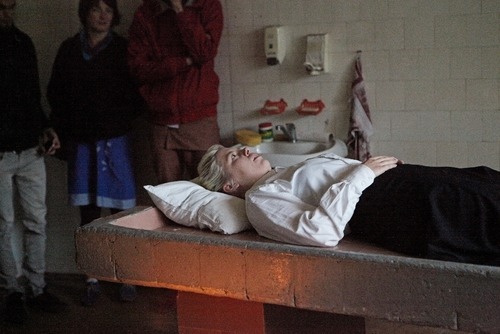 This year for the festival “Survival Kit 5” Johanna Hästö produced “A Last Farewell” performance becoming a hospital body sending its last message to the world. ← RĒZEKNE – PILSĒTA, KUR SAPŅI PIEPILDĀS!